The perfect finish to any party. 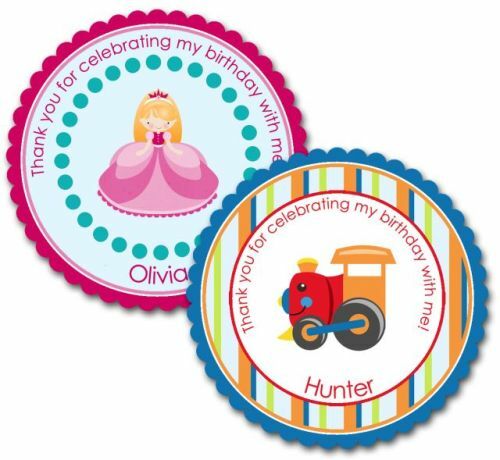 A little thank you tag/topper which can be attached to the party box or bag with ribbon or glued on the front. Or perhaps given with a balloon and a piece of cake. Each tag is printed to co-ordinate with the invitations you are purchasing. The tags/toppers measure 6.3cm or 2 1/2" wide. If you are not purchasing invitations but would like us to customise the tag to match the theme of your party, we can do that. We'll email you after your order is placed to find out your party plans.